Philip Garrett Panitz holds a Masters Degree (LL.M.) in Tax Law from New York University School of Law in addition to his Juris Doctorate law degree (J.D.) from Loyola Law School of Los Angeles. He is also an alumnus of Arizona State University School of Accounting where he completed his undergraduate education. He was admitted to the California Bar in January, 1981 and is also a member of the New York Bar Association. He began practicing law as a prosecutor with the Los Angeles District Attorney’s office. After much success and 7 years of litigation experience, Phil went on to get his Masters in Tax Law from New York University where he graduated in 1989. After NYU, he was a tax associate with Beck & Casello in Southern California, and was subsequently recruited to head up the tax litigation department of a Ventura County law firm -- Staker & Gose. 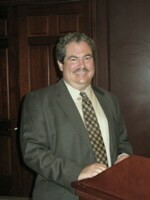 He became a partner in the firm Gose, Panitz and Lechman, and in 1997 he formed his own law firm. Today, Mr. Panitz is the managing partner of Panitz & Kossoff, LLP, a Federal Tax litigation law firm that litigates tax cases nationwide. In addition to his many years of experience and his tax law education, Mr. Panitz has been a lecturer and writer on taxation issues for years. He has a periodic column in Citations magazine and he has written for The Los Angeles Daily Journal on tax related topics. He is frequently in demand as a speaker to business groups, professional associations, collegiate classes, and various sections of the Bar Association, where he addresses tax and corporate issues. Mr. Panitz is a past president (2004) of the Ventura County Bar Association, and sits on the Board of Directors of the VLSP, the Ventura Lawyers Services Program, which funds pro bono legal representation to the poor in Ventura County, California. If you need assistance in any of these areas, do not hesitate to call Mr. Panitz at (805) 379-1667 or (818) 991-1750. In private practice based in Westlake Village, CA, Mr. Kossoff advises individuals and families on Estate Planning, Trust Administration and Probate, Business Formation and Succession Planning, Asset Protection and Wealth Preservation. 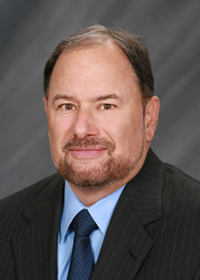 A frequent lecturer to CPA, Financial Advisor and Attorney groups, Mr. Kossoff was recently quoted in the Wall Street Journal and the Pacific Coast Business Times, has written opinion pieces and articles for California Lawyer Magazine, Los Angeles Lawyer Magazine and Journal of Asset Protection. Mr. Kossoff received his law degree from the Duke University School of Law in 1983, with honors, and was a published member of the Duke Law Journal. He received his undergraduate degree from University of California at Berkeley in 1979, with great distinction and high honors, and was inducted into Phi Beta Kappa. Mr. Kossoff enjoys educating colleagues and clients on practical planning techniques, regularly presenting workshops to local professional groups in his office and through his newsletters, on topics such as: Now That I am a Successor Trustee, What Do I Do? How to Avoid Planning Pitfalls When Planning for Clients with Pets; Everything You Need to Know About Trusts; Why Most Business Succession Plans Fail; and How to Plan To Avoid Failure, among others. Mr. Kossoff began his legal career in January 1984 as an associate at a downtown Los Angeles law firm known as Hoecker & McMahon, a break-off of Blecher, Collins & Hoecker, working on antitrust cases relating to the pricing, transportation and supply of heavy California crude oil. In March 1986, Mr. Kossoff joined the Century City office of a Chicago-based firm then known as Wildman, Harrold, Allen, Dixon, Barash & Hill, where he focused on gaming litigation. In September 1988, Mr. Kossoff joined a seven lawyer firm in Beverly Hills, then known as Nagler & Schneider, later known as Schneider, Goldberg, Rohatiner & Yuen, where he spent the next ten years and developed his focus on estate planning, probate and trust administration. Mr. Kossofff started his own practice in Westlake Village in 1998.